The Pink Flamingo Inflatable Pool Lounge by Swimline is a giant, ride on toy that will put your pool party in the pink. This enormous fine-feathered friend measures a whopping 75” in diameter and can support up to 140 pounds. 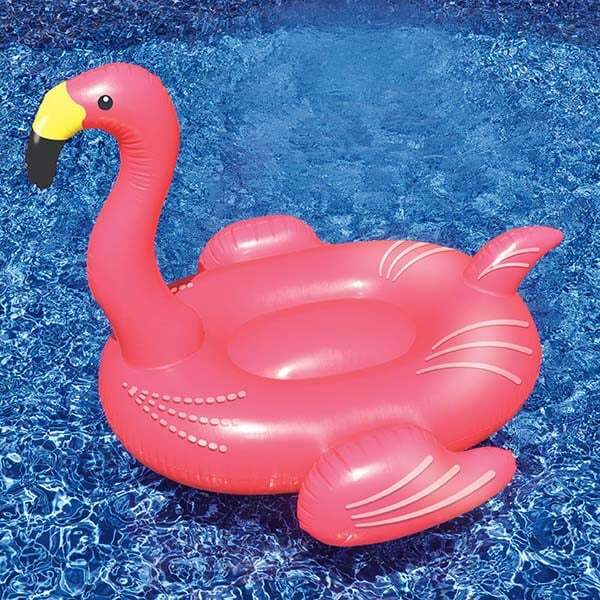 Constructed of long-wearing, heavy-duty vinyl, the Pink Flamingo is easy to inflate and features two built-in handles for balance and safety. The kids will be flocking all summer long to the Pink Flamingo Inflatable Pool Lounge by Swimline! Size L75" x W72" x H45"